The final chapter in the musical story of Gurrumul, the highest selling Indigenous musician of all time and an Australian icon, will be written on April 13 with the release of ‘Djarimirri (Child of the Rainbow)’. 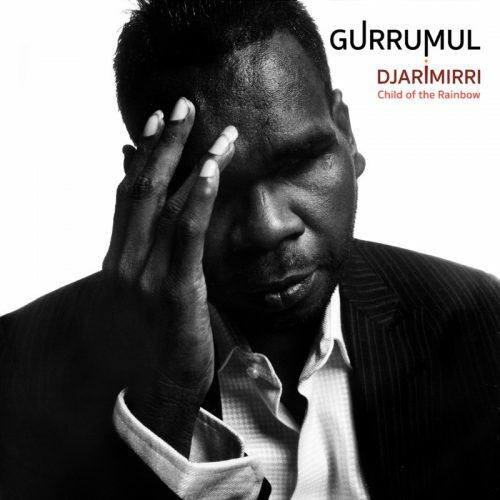 Over four years in the making and completed just weeks before his passing in 2017, ‘Djarimirri (Child of the Rainbow)’ is Gurrumul’s gift to the world, an astounding achievement of music, presenting traditional songs and harmonised chants from his traditional Yolngu life with dynamic and hypnotic orchestral arrangements in a blend of the highest forms of both his culture and our European orchestral tradition. It’s a final message. A window into his supreme culture. A recording of an iconic artist at his creative peak, and a legacy that will not be surpassed. Recorded across many sessions and many years, the album was a labour of love produced by Michael Hohnen with orchestrations and arrangements by Erkki Veltheim. The album features members of the Australian Chamber Orchestra and Sydney Symphony Orchestra, creating an other-worldly soundscape, bringing western tradition to Yolngu culture in a true artistic representation of togetherness and mutual respect. ‘Djarimirri (Child of the Rainbow)’ will be unveiled on April 13, ahead of the cinema release of GURRUMUL, an astonishing documentary tracking his life and achievements written and directed by Paul Williams. The film is a portrait of an artist on the brink of global reverence and the struggles he and those closest to him faced in balancing family, country and traditional life with an international music career. Next Article Fleetwood Mac: Buckingham Out, Neil Finn In!